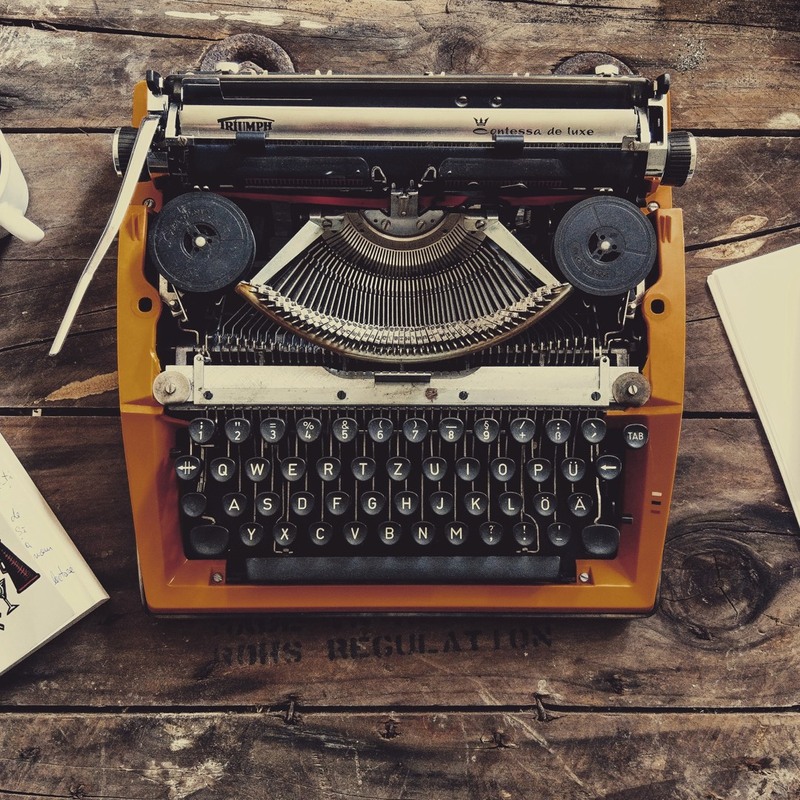 I talk a lot about how mindfulness and meditation can help the writing process, but today I want to talk about how it can help the writing itself. Your craft. Your story-telling ability. Mindfulness can be the lens through which you see the work itself, not just how you go about approaching your creative life. These are a few exercises that will help you go deeper with your characters and sharpen your world-building, as well as fine-tune your prose on the word-by-word level. We’ll even get into how mindfulness can help you revise. I’ve often mentioned how mindfulness practice can help you in the all-essential art of paying attention which is, perhaps, the most important quality in any writer. But what about the words on the actual page? There is no better place to start this work than poetry. To me, poetry is what happens when mindfulness and words make love. You would do well to read more poetry, to look at the attention to detail that the writers bring to the text, and to use poets’ advice on how to go deeper. And then go be like Mary Oliver and lay in fields for hours on end, staring at clouds and daisies and decaying animals before you write a word. It doesn’t just have to be a walk. When I lived in New York City, I loved getting on the subway, closing my eyes, and just listening. That is some good sensory detail right there. In fact, I just used years of that practice in a scene I wrote yesterday. The important thing in this exercise is not to be a lazy git about it. You really have to keep digging until you get that description juuuuuust right. Describe that sound so that we really hear it. Avoid clichés. Revise it. Make it SING. When you sit in meditation, you get even more bang for your buck with exercises like these. It primes you to be more present when you have these experiences. To fully show up. It whittles away the non-essentials. 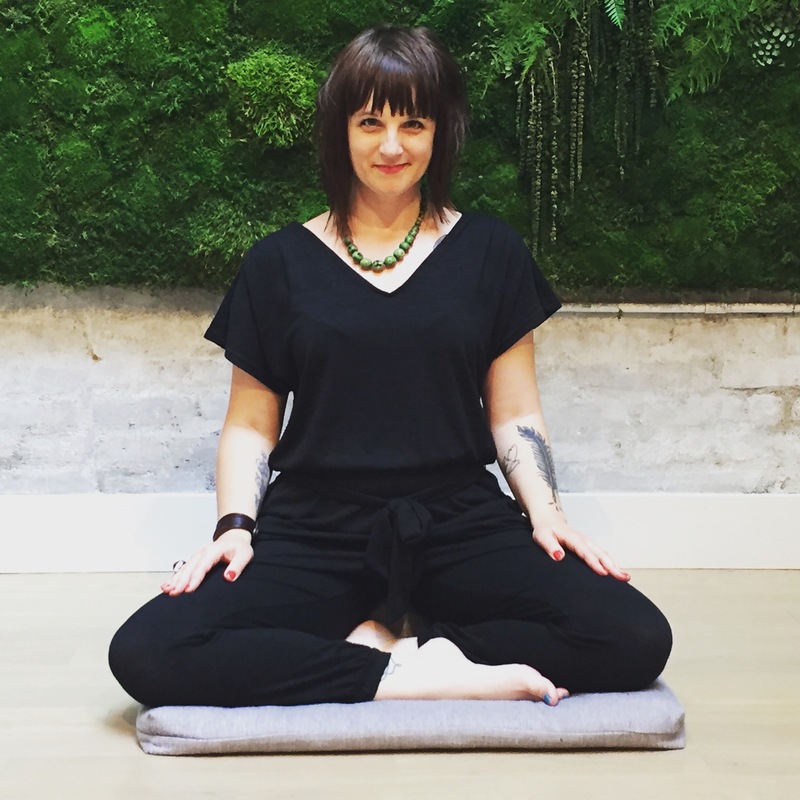 Zen teacher and writer Natalie Goldman said in a recent talk at the Brooklyn Zen Center that when she’s revising, she asks this question: Where was I not present? This doesn’t mean herself—you don’t want authorial presence, otherwise you’re breaking what John Gardner refers to as “the fictive dream,” that lovely place of suspended disbelief where the reader forgets they’re reading a book and they actually believe they are in Narnia or Middle Earth or kissing a certain vampire who shall not be named. Where was I not present is simply asking yourself: where did I not show up when I was writing? Where did I check out? Where did I give up because it got too hard, because I didn’t want to go deep enough? Where was I thinking ahead and not really in the scene I was writing? The Missed Moment: We often know we’re not present in the writing when we have what our dear faculty member Amanda Jenkins calls a “missed moment”—something extraordinary was skipped over by the author. They missed the mark. It’s that moment when someone says something like, Yes, well, I’ll tell you now that I killed my mother but, whatever, let’s go fight the Dread Pirate Lord and then have ice-cream and then everyone actually does go fight the Dread Pirate Lord and then have ice-cream and you’re like OH MY GOD YOU KILLED YOUR MOTHER WHY ARE WE NOT TALKING ABOUT THIS? Missed moment. (I would say that ENTIRE final scene of the last episode of Season Seven of Game of Thrones was a missed moment. Oh, it was so missed. I am still mad about that). The Niggling Feeling: We also recognize when we’re not present when another Amanda-ism comes up: the “niggling feeling.” You know when you’re reading and you get a sense that something’s off, but you’re not sure what it is? Chances are, it’s a moment you weren’t present. Some dialogue that isn’t right, a line that needs revision, a word that’s not quite there. You might not know what is wrong. But it’s not working. Do not settle for Good Enough! Get present and revise. Being In The Character’s Skin: And the third way we might not be showing up is the queen of them all, yet another of Amanda’s eternal truths about writing: we’re not getting into the skin of the character. Meaning, we haven’t inhabited them. Our protagonist is narrating events, they are just telling us what’s happening. We aren’t feeling it, they aren’t feeling it. Think of yourself as a method writer. Just like an actor gets into character, you need to, as well. This is where you bring in all five senses and let it rip. No matter how much it hurts them and you. Show up, do the work. Bleed on the page. So the next time you’re revising, or even reading over your work, ask yourself: Where was I not present? A really big part of mindfulness practice is compassion. There are formal meditations that go with this, such as lovingkindness (mettā) meditation, and countless books on how the Buddha talked about compassion for all beings in the larger context of Buddhist practice. We writers, even the most curmudgeonly among us (and I count myself in that crew), are an empathetic bunch. We have to be, in order to inhabit the skin of so many different kinds of people. There is a curious egoic elasticity within us: we must, somehow, be able to be male and female, gay and straight, peoples of all colors, rich and poor, intelligent and ignorant, powerful and weak. On a big writing day, I have rallied an army with a crown on my head and begged for mercy as a slave, made love to a woman, then a man, killed a child, and started a revolution. It was just a normal Tuesday. Writing teaches us to love people we never used to see. To understand people we thought we could never comprehend. We even fall in love with our villains. I sobbed my eyes out when I had to kill one of mine, and he was a terrible, terrible man. Mindfulness allows us to hone our compassion and empathy, to strengthen this muscle. In part, it’s because we’re paying attention. We start to see things more clearly: not just on the macro, cosmic level, but on the micro. We notice the tired sigh of the woman behind the checkout counter because we are not checking our phones. Because we have decided to be present for the experience of buying our groceries, rather than looking at Instagram while she bags our food. We see her sigh and we feel something for her, a kinship of humanity. We remember that sigh, days later, when we sit down to write and one of our characters looks up from her work, exhausted. We get it down, just right, because we have the perfect moment already stored in our memory. The next time you go out—whether it’s with friends or just to the gas station—do so with the intention of being fully present, as a compassionate witness to the humanity of those around you. Don’t multi-task or look at your phone. Listen to them. When you notice your mind wandering off, bring it back into focus. Really look at their faces. Note the details: the sweat on their upper lip, how their hands flutter when they talk, they way their eyes close slightly when they laugh. How would you describe their voice? How do they move? Do they make eye contact with you? What does that feel like, looking into their eyes? What color are their eyes? Make an effort to listen more than you talk. What does it feel like, to show up for someone? To not have it be about you? What are they afraid of? What makes them smile? How can you be a bright spot in their day? You won’t be able to write all this down while you are with them (awkward! ), so just be present, but be very, very aware. As soon as you’re alone, write as much as you can remember about them and the interaction. Finally, reflect: how are you the same? Mindfulness asks us to listen more than we talk. And when we listen, we hear things. And when we sit down to write, those things bubble up. The wisdom of others. Their confusion, too. Our words begin to ring with more authenticity because they are flavored with the spice of the real world and our presence in it. Ultimately, that’s what writing is. It’s saying, in all manner of ways to our readers: I see you. I hear you. It is large-scale compassion built, brick by brick, from these smaller moments in our own life. Moments of connection, engagement, and presence. You’ll notice that in all of these things I’ve mentioned, it all comes down to showing up. To being fully present. Whether it’s on a walk where we truly absorb everything we see and hear and feel and try to articulate that with as much specificity as possible, or whether we’re revising, looking to see where we checked out, or whether we’re constructing characters based on our ability to authentically connect with others in the world. It is always, always about being right here, right now. In this moment. That’s the kind of writing I want to read: writing that shows up. I’ve just read a cop thriller and then followed it with a volume of Stephen King’s short stories. There is no doubt that he is a mindful writer – sometimes the detail is so sharp and so present that it almost hurts. Excellent. The thriller on the other hand, had many characters who were quite difficult to separate from one another, mainly due to that lack of presence – good cops and bad cops blurring together, I couldn’t picture them separately as characters. You had to hang on till the last chapter to see who was who. Of course there’s always the twist, but this somehow fell flat.